I love the Neiman Marcus Last Call store. I have never been there and not found something that I love, at a steal of a price. However, today I am home with our little one, so shopping online will have to do. But its ok, because they are offering an additional 40% off one item. When this happens, I search for things from my favorite designers, that I would never be able to buy at full price. 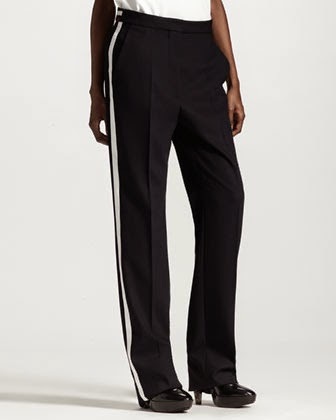 I have been watching these Stella McCartney pants since I recommended them to a friend. Lucky for me, I can get them at 80% off today. Go for it, find what you love. p.s. Sign up for email updates and get an extra 10% off.